Loft conversions usually provide our Clients with substantial additional areas within their homes as loft conversions make use of previously underused or ‘dead’ space. 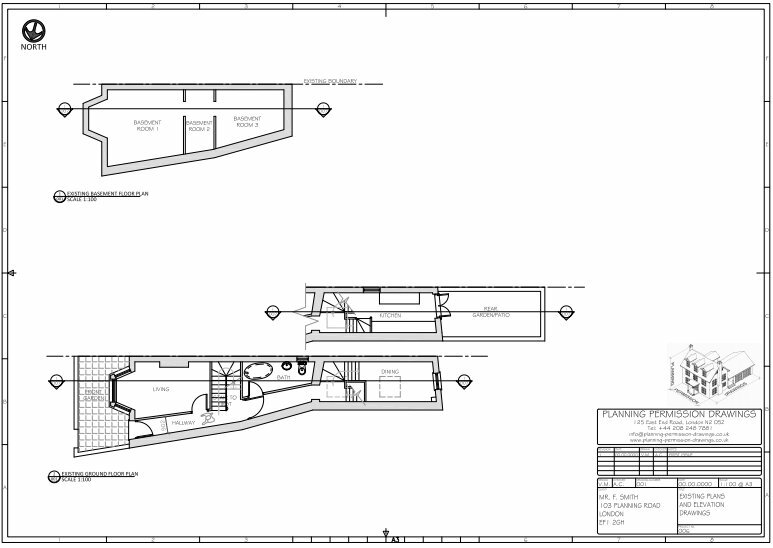 Planning Permission Drawings can use the main loft area to create stunning spaces for a variety of uses. The most critical part of any loft conversion is the existing stair position within the house. 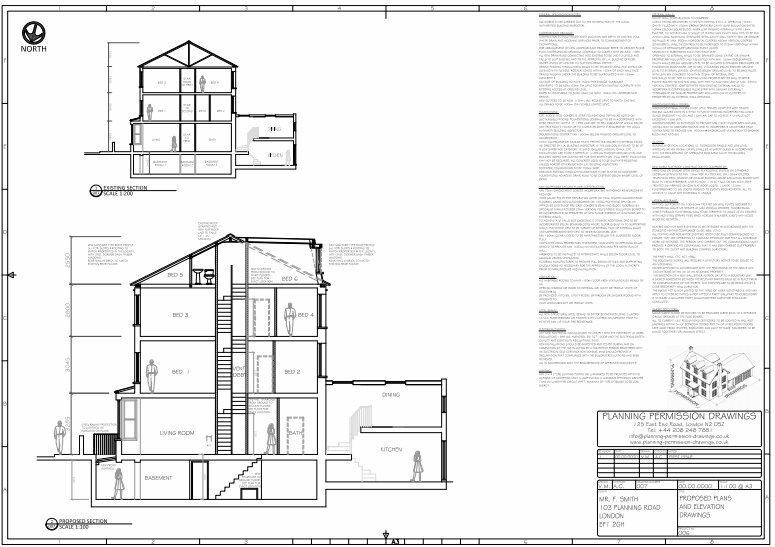 Planning Permission Drawingswill position the stair to minimise disruption and loss of space at the existing first floor level whilst maximizing the new space in the loft. As most loft conversions do not need planning permission, drawings are only required for Building Regulations (construction) purposes. 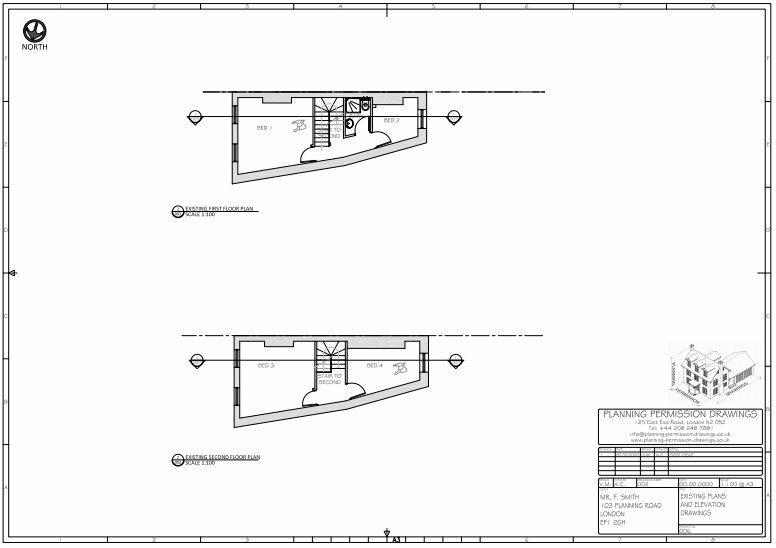 These drawings allow builders to accurately price the work and carry out construction with the minimum of fuss. 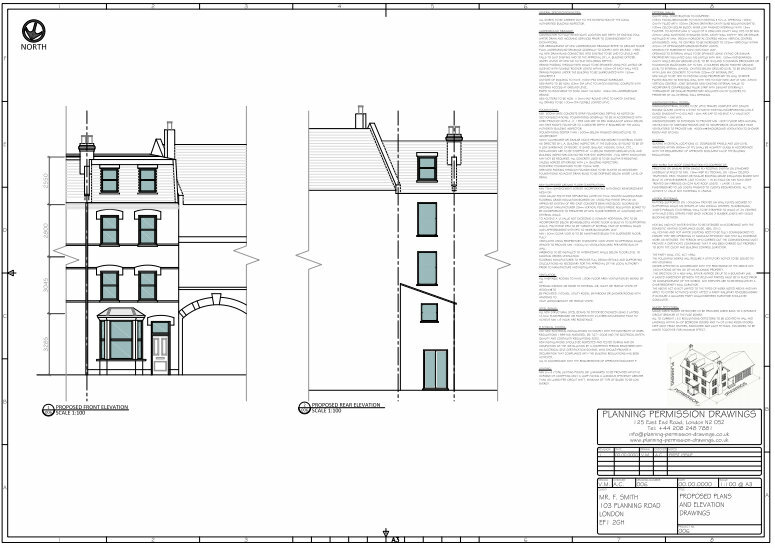 In Conservation Areas, dormer windows usually need Planning Permission. Some newer properties will also have Permitted Development (PD) rights removed, meaning that all work including the installation of even simple roof lights, will need Planning Permission. 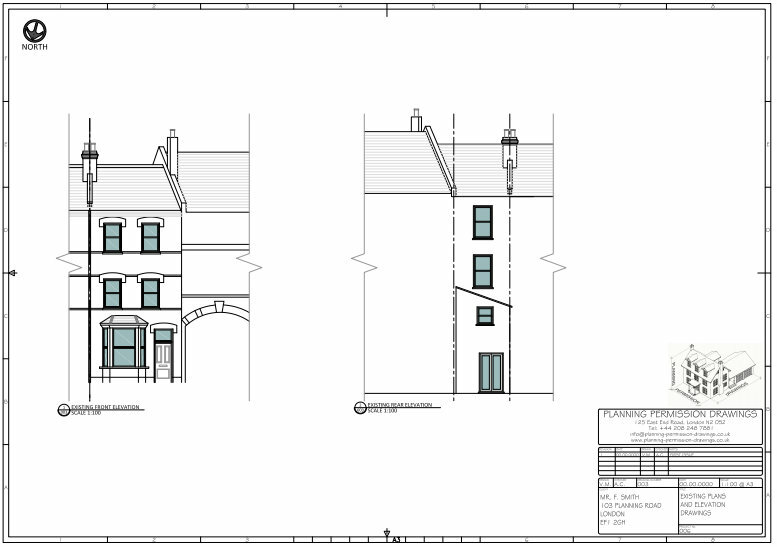 Planning Permission Drawings produce very accurate drawings, meaning that your loft can be converted easily, economically and efficiently. 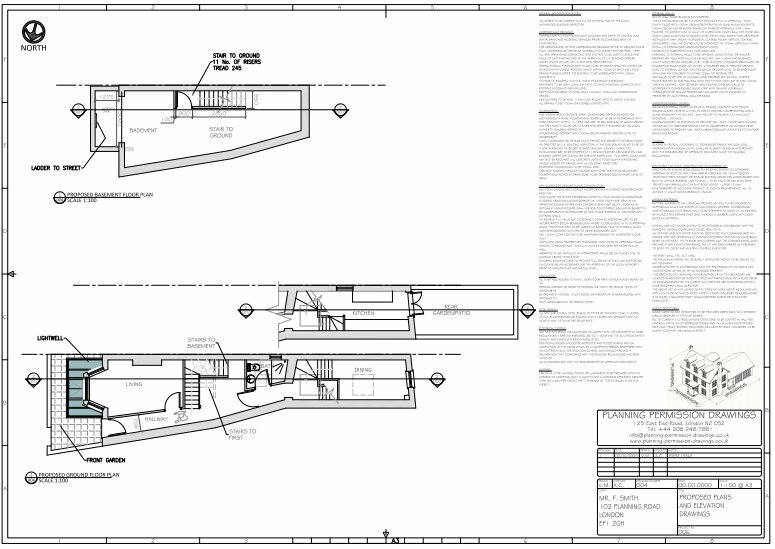 Planning Permission Drawings are the loft conversion design specialists. How much will a loft conversion cost ? In truth, the answer is ‘It depends’. Understandably, this is a very difficult question to answer as there are so many variables and every job is so different. As a rough guide, an average conversion will cost somewhere between £20k and £40k excluding Local Authority fees, sanitaryware, floor finishes, ceramic tiles and decorating. Projects vary massively, hence the large variation in estimates mentioned here. The best way to find out how much it will cost is to call Planning Permission Drawings, have drawings prepared, and send them to some (usually a maximum of 4) reputable local building and loft conversion specialists. This is, in reality, the best way to find out precisely how much your project will cost. Conversion works to a loft usually take between four and six weeks. A new roof can also be added within this time scale. Will you need to move out during the works? Usually, no, there is no need. In most cases, apart from stair installation, the bulk of the work is achievable through the roof structure. Reputable builders always try to cause as little disruption to your home as possible. 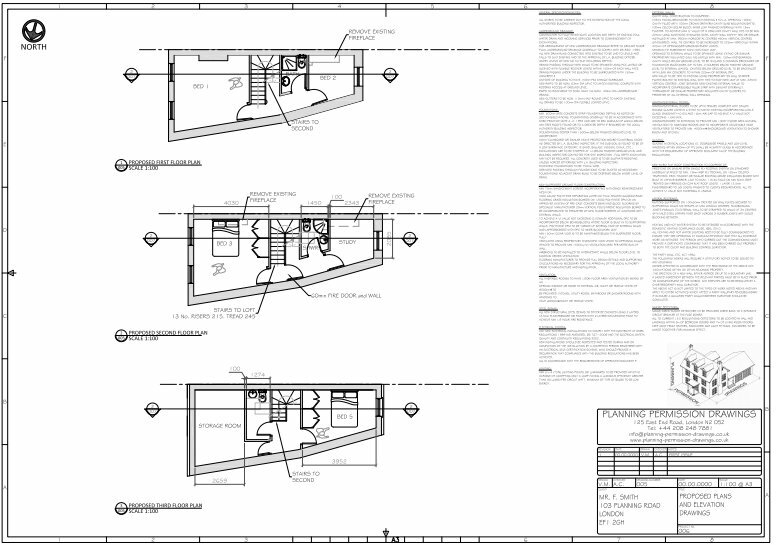 Planning Permission Drawings offer a guarantee for the planning and application work we do, and, we are fully insured. We do not provide guarantees on any construction work, but the contractor you select will advise you on their own guarantee offer. It is always best to ask builders what guarantees they provide when seeking prices from them. Needless to say, if the builder does not offer you a guarantee, or you are not completely satisfied with what is offered, you should walk away. While the majority of lofts can be converted, unfortunately some lofts will not be suitable. It will depend on how your house has been constructed, available space, stair arrangement, and available headroom within the roof space. If you are unsure, we are happy to visit and advise you accordingly. Many loft conversions only require Building Regulations approval, however, we will check with your Local Authority office during the design phase of your project and let you know the outcome of our discussions with them. Can I DIY a loft conversion? It’s a fairly large project to undertake and we would usually advise individuals not to undertake their own loft extension unless you are completely comfortable with the construction process. There are risks involved in these types of projects that an experienced builder will have extensive knowledge of, and there are many jobs which will require several pairs of hands to complete (installing steelwork).